“Really excellent job – well done – highly delighted done an excellent job by Peter. Thank you for the kind comments Mrs Renshaw. I’ll make sure Peter sees them. If this was true carpet cleaning would be very much a DIY task using hired equipment. Unfortunately it isn’t that easy. 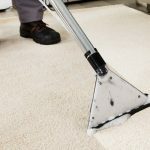 To clean carpets safely and effectively needs knowledge of the chemical and physical principles involved, together with some insight into fibre technology and carpet construction. Make sure the cleaner you choose has had proper up to date training in cleaning technology and the equipment he is using. All our technicians are trained to the highest standards in the industry and receive regular update training. 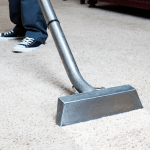 Carpet Cleaning Review by Mr Sutton of Anston, Sheffield. Here's what Mrs Smith, a regular client, said on video about our service…	 Carpet Cleaner Sheffield Review by Mr & Mrs Benn of Crosspool.